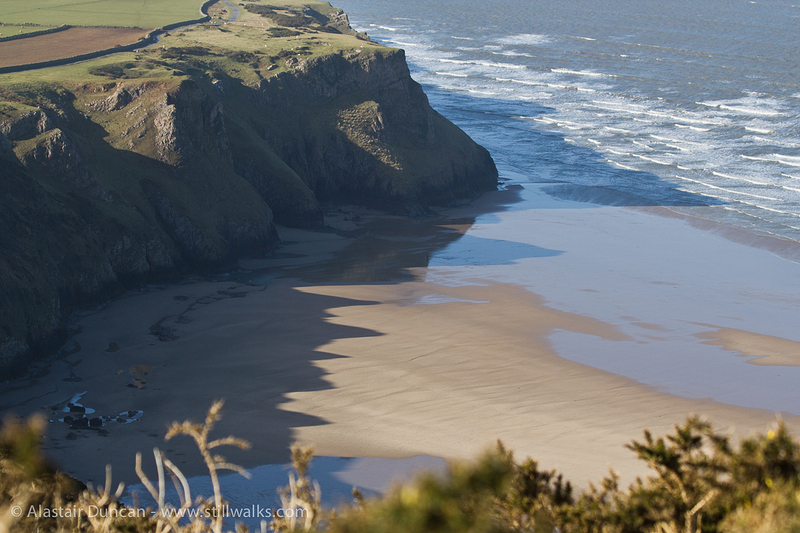 Seen from atop Rhossili Downs, the cliffs of the Gower Peninsula cast a strong shadow over the sea and sand. 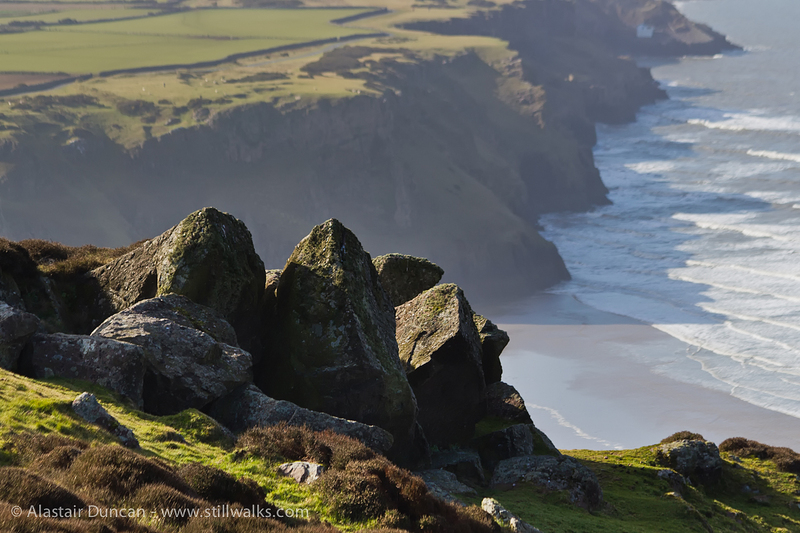 Posted in Landscape, Photography, Travel, Walks and tagged aerial, beach, cliffs, Downs, Gower, landscape, light, Peninsula, Rhossili, rocks, sand, sea, seascape, shade, wales. I love the one with the rocky outcrop.